Firstly, a cleaner room header with an activity label and indication of access and room stage. 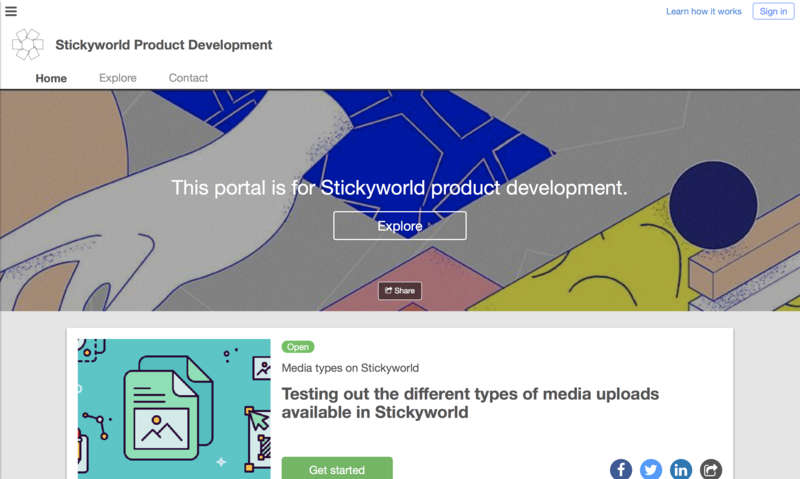 Secondly, we've improved the public portal home page, with clearer branding, a contact page and a searchable explore page. Thirdly, we've overhauled the portal settings to streamline the means of publishing the public home page for your portal. As always we provide continuous suport and online training on any of the updates. Get in touch in the app to organise some time with us if you need some help. Rooms can now be published with an optional label, to help differentiate the nature of the activity to the visitor or participant. When an organiser creates a room, they can select the label from a standard set, or invest a custom label. They can edit the label any time from the summary page. The room label features in the copy of a "learn how it works" page for the room. This page makes it clearer to the visitor how the room is set up to run a specific activity, explaining the settings. The room label will appear as a filter in the admin rooms listing. 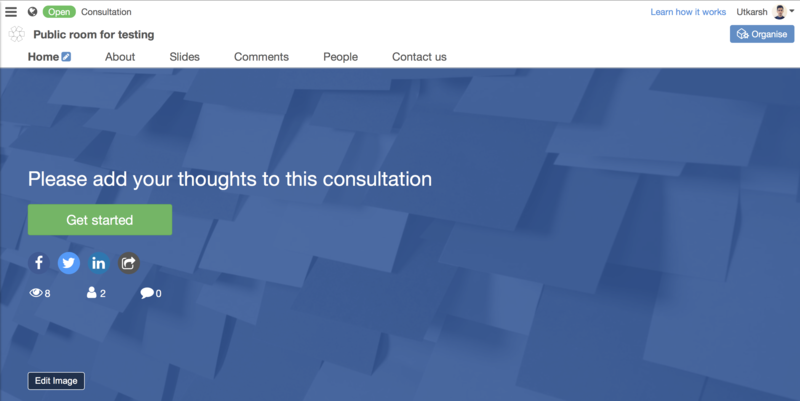 We have totally overhaulled the public portal home page, and provided clearer branding for the organisation, a home page, a searchable room listing page and a contact us page. We have improved the layout of the room previews with clearer closing dates showing in a calendar feature. Sharing features have also been improved and extended on all public facing features, including improved Twitter, Facebook, Linkedin and email sharing features. 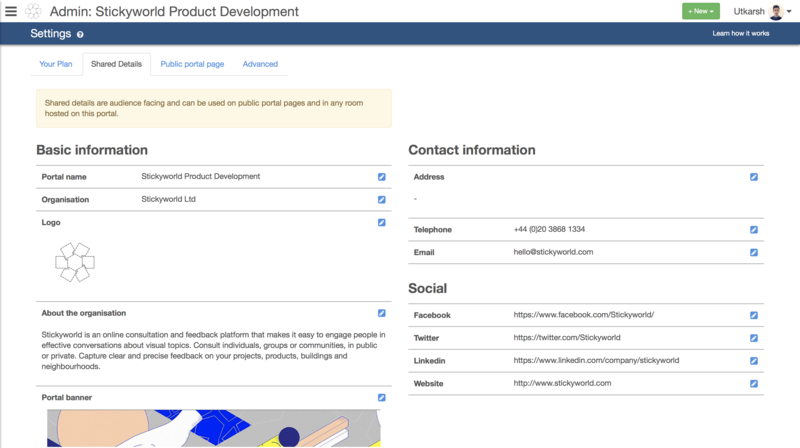 A set of details can now be saved once and used across the portal, for instance Organisation Name and Logos, background banners, and contact information. 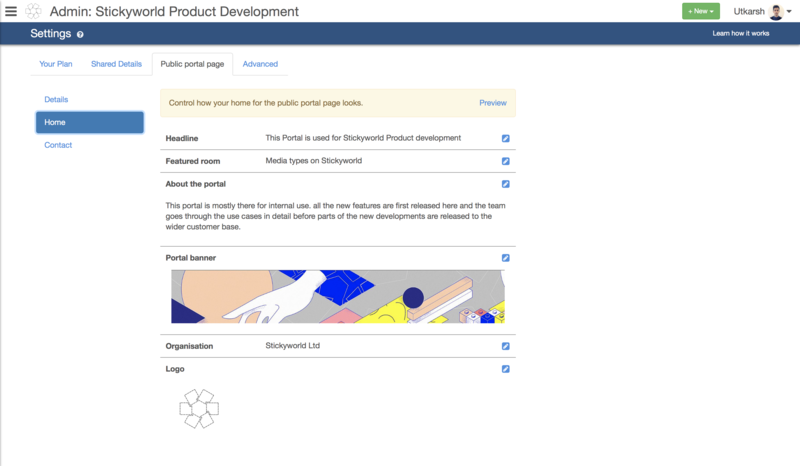 The Portal Public Home page now has to be made visible, meaning you can prepare details before publishing the page. 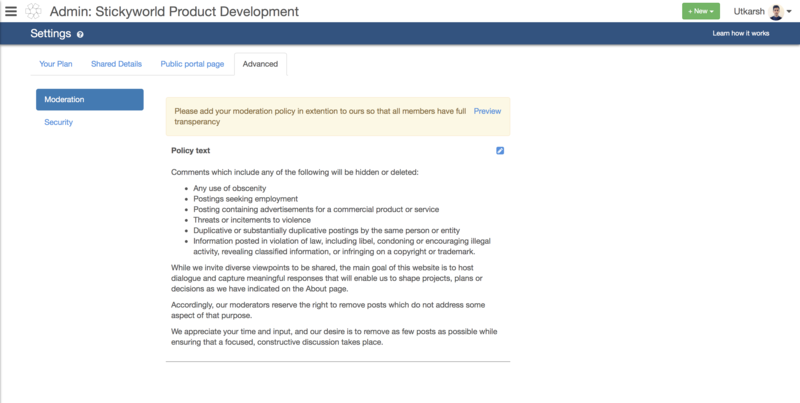 We've added a visitor-facing moderation policy page which is linked from the room or public portal page. It can be edited in portal settings. These are just the first of several new releases improving the participant facing interface on the platform. We'll be following up with improvements to subscribing to the public home page. Find out about the latest software releases.